Part of our Nature Series - Blue Ocean Event Pack, this deep blue poster template with ocean background is striking and will catch everyone's attention. 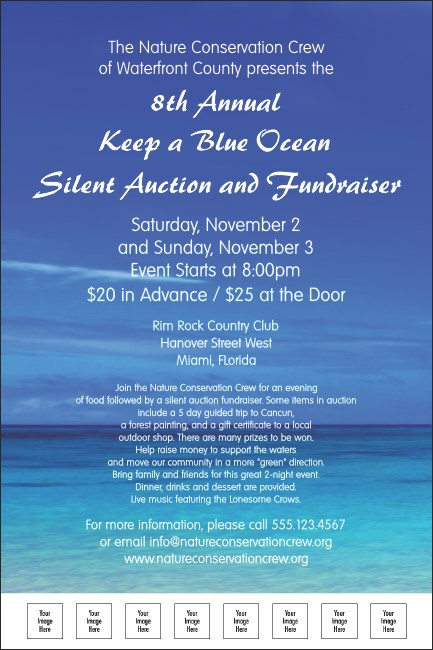 Versatile for many different printing needs including ocean and nature themes and conservation fundraisers and benefits. Poster measures 11.46" x 17.18". Make your event stress free with our Event Kits that include matching promotional materials!